Live in Florida long enough and you’ll likely encounter a tropical storm or hurricane. Many of them are lightweights. They come through like a bad thunderstorm, and before you know it, they’re gone. Others cause millions of dollars in damage, leaving a trail of devastation in their wake. Sure, we all have our storm windows, shutters or plywood to minimize damage on the inside, but what about the outside? Can we minimize damage there too? You may be surprised, but the answer to this question is yes. One way you can do that is to plant trees and plants that can withstand natural stresses and disturbances, like flooding and winds from these storms. Sure. Sounds easy enough, but if you’re like me, you already have a yard full of trees. But that’s okay. What you need to do now is prioritize. Take a look around your yard and be on the lookout for trees that could easily uproot and break in strong winds. You may want to consider removing these trees, especially if they are a hazardous species or over-mature. More dangerous tree species include the pecan, pine, water oak and laurel oak in north Florida and the Australian pine, queen palm, melaleuca, weeping banyan, and Washington palm in South Florida. Your could also consult with a certified arborist. After the storm, if a tree falls, replace it with a long-living tree that is hurricane resistant. You may also want to consider native tree species for planting because they are typically more resistant, and they help preserve our delicate ecosystem. However, keep in mind that some tree species will perform differently in different environments — local climate, soil and disease control, should also be taken into consideration. Small trees need at least 10 feet by 10 feet. Medium trees need 20 feet by 20 feet. Large trees need at least 30 feet by 30 feet. Also bear in mind that when tree roots are cut, the anchoring system of the tree can become compromised. For instance, when we’re installing a new irrigation system, we typically need to work around tree roots or call out an arborist. You don’t want to compromise the integrity of your tree — a weakened tree is a risk to lives and property. When you’re planting trees to be more hurricane resistant, location is everything. When trees are planted in groups of five or more, they are more protected during a storm. Trees that are planted alone are more vulnerable. When planting, you’ll also want to consider the size of the tree at maturity. You don’t want to plant a large tree below power lines, for example. 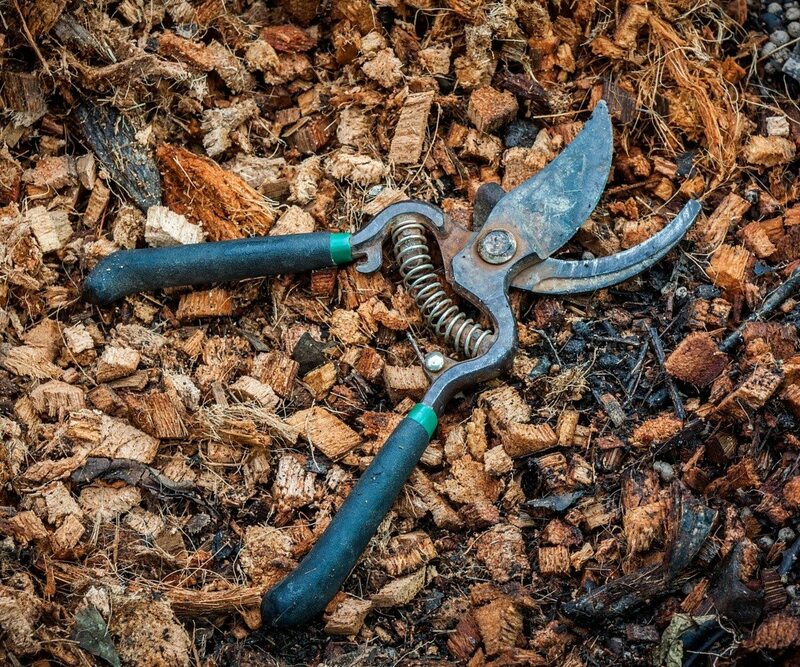 Once you have all of your trees planted, you’ll want to begin a preventive pruning program. The goal of these programs is to reduce the length of branches competing with the main trunk. This keeps the tree more stable and strong. A tree that’s too top-heavy is more likely to fall. Most of your shrubs and flowers won’t need any storm preparation. All you can do is keep them pruned and healthy, and hope for the best. Any smaller potted plants should be brought inside, including those that are hanging. 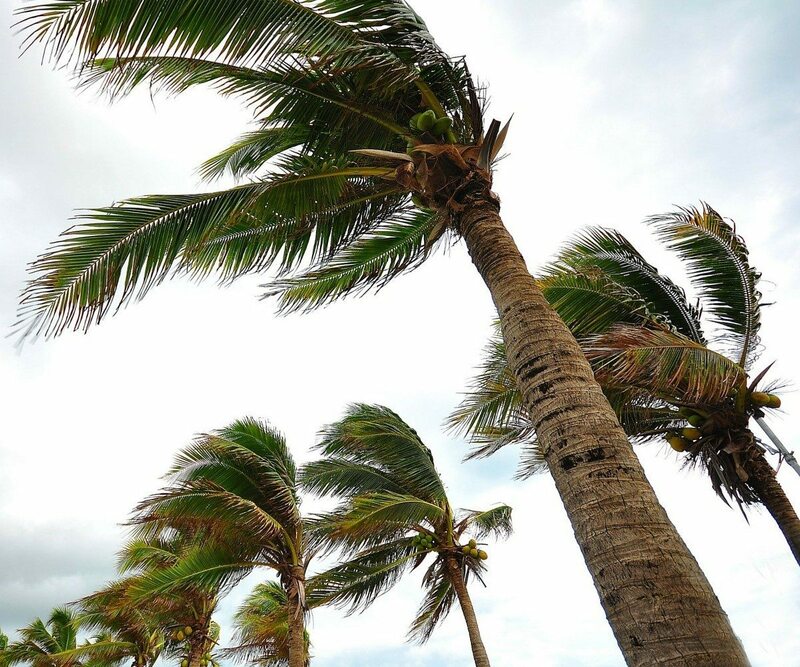 Larger potted plants and trees should be laid on their sides with their tops facing away from the expected direction of the hurricane’s strongest winds. You could also consider wrapping more expensive pots in bubble wrap or some other cushioning material, to keep them from breaking. It is also a good idea to use bricks or wooden blocks to keep the pots in place so they don’t damage other plants. If you don’t have any bricks or blocks, you may want to consider tying them down to keep them secure. While some damage will be obvious after the storm, you might not understand the full amount of damage done until months later. Some trees will decline over time, so make sure you are watching their leaves and monitoring their health. Most trees will leaf out again in a few months or the following spring. If new leaves don’t arrive by summer, the tree isn’t likely to recover. Pay careful attention to your palms and pines. Allow at least six months for your palms to grow new fronds and check for hidden root stem or bud damage. Check your pines for signs of poor health or stress. Weakened pines are more susceptible to pests and disease. We hope these tips were helpful as you begin to make preparations for the current hurricane season. Keep in mind that a properly irrigated lawn can help your plants develop stronger root systems that will keep them strong during a storm. For more information and advice, please check out our site, or give us a call at 727-772-3819. Former U.S. Coast Guard and Tampa-native Joseph Swett is the owner of Sunrise Irrigation, a Palm Harbor-based company that has been providing sprinkler and irrigation services in the Tampa Bay Area, Florida, for more than 20 years. A RainBird-trained landscape specialist, Mr. Swett is dedicated to helping Florida homes and businesses implement effective irrigation technologies and transition towards smart water conservation. In his spare time, Joe sponsors and plays in two men’s softball leagues, but also enjoys surfing and going fishing with his family.